Chelsea Houska: Wedding and Pregnancy Plans Revealed! 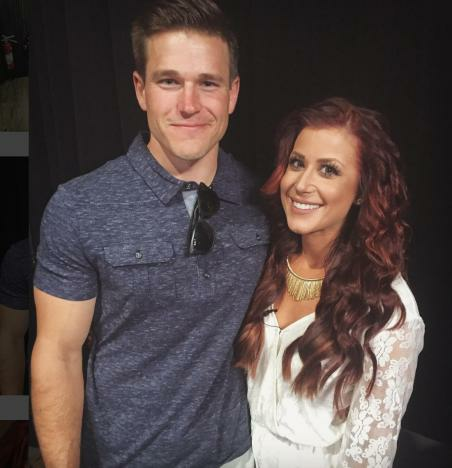 It’s been several months since we first learned that Chelsea Houska is engaged to Cole DeBoer, but the couple has remained mum about the details of their forthcoming nuptials. Fortunately for obsessed fans, this is the Internet age, where there are no secrets! Muahaha! Last month, there were reports that Chelsea and Cole were already married. Those rumors were quickly debunked, but don’t worry – accurate information about the wedding quickly followed, because the Internet is an always creepy, occasionally terrifying place. We soon learned that Chelsea and Cole are getting married in October, not far from where her she and her family live in South Dakota. “She will be getting married this fall and I’m sure she’ll jump on that procedure pretty quick,” he said during a recent podcast interview. He went on to confirm that October 1 is the big day, just in case there are any Teen Mom 2 obsessives who haven’t booked their flights year. Papa Housk has been asked several times lately if his daughter and Cole are already expecting, and he’s hinted that that will probably happen soon after they tie the knot. “Well obviously we want to get married first, but baby fever is very real,” she told the tabloid. Just don’t go telling everyone the exact due date and the hospital where you want to deliver. You might find yourself receiving more encouragement than you’d like. Toby Keith: Darn Right I’m Performing at Donald Trump’s Inauguration! Sarah Stage: See Her INSANE Workout at Seven Months Pregnant! Next story Angelina Jolie: Ready to Divorce Brad Pitt? !